Business as usual is hardly ever usual; each day brings new opportunities, but also risk in terms of the financial and practical health of your organization. Your business insurance coverage must evolve to adequately protect your business and its monetary and physical assets. The following are costly mistakes and solutions to ensure your business insurance strategy adequately protects your investments and livelihood. Many businesses use independent contractors as a way to meet changing demands and minimize the expense associated with carrying full-time staff. However, the demands placed on contractors could be construed as an employee relationship for IRS purposes. Misclassification of independent contractors can be costly. Not only is the business owner liable for repayment of Federal and state taxes, but he may be responsible for other costs such as Social Security, unemployment contributions, overtime pay, and benefits. Letting your policies auto-renew without thorough examination of coverage can lead to one of the most costly problems there is – lack of sufficient coverage. To avoid this expensive and time-consuming issue, you should schedule a review of documentation at least annually (twice a year is ideal). Any large business events such as capital losses, sales, acquisitions, or the development of new major products or initiatives should prompt a review as well. The third mistake, closely related to the previous issue, is overpayment. Just as a regular review is essential to catching a deficit in business insurance coverage, regular examinations may save you money by pointing out areas where you could safely scale back coverage amounts or parameters. Changing business strategies, the sale or depreciation of capital assets, or other divestitures may trigger a downgrade in coverage. Standard insurance policies cover damages and issues up to a certain total amount. In the face of catastrophic loss or damages, many business owners learn too late they are not sufficiently insured to cover the total amount of damages from a product failure or incident. 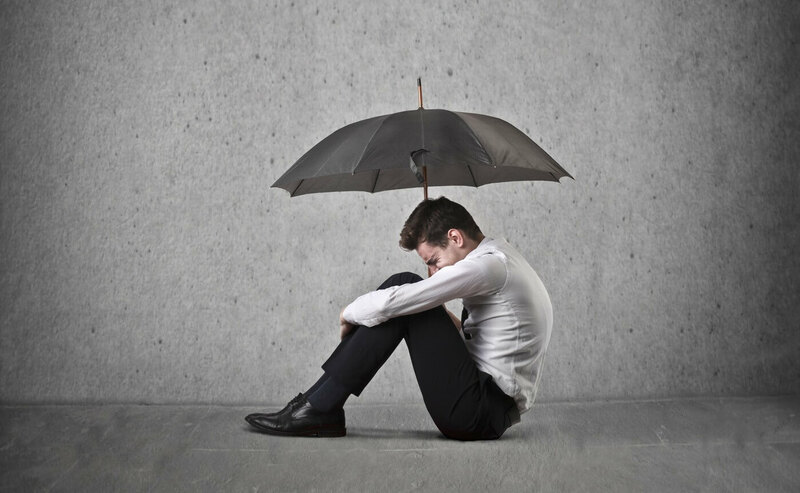 Skipping the small cost of umbrella insurance to save on premiums can be devastating for a business. Water created the Grand Canyon, and it can as easily carve a path through your business and its physical assets. The catastrophic losses involved in major flood damage often spell the end for small to medium businesses, and yet flood insurance is one of the most underutilized types of coverage offered. Consider adding flood insurance to your overall protection strategy regardless of your risk or geographic location. For a relatively small amount of money, your business can be protected from the devastating effects of natural disasters. Employing a sound business strategy is as much about mitigating risk as advancing profits. Discussing a comprehensive plan with your business insurance carrier is one of the best ways to ensure that today’s efforts are rewarded with security in the long run. All insurance policies are different. Be sure to review your insurance policy for specific information about coverages available to you. Nothing in this post is meant to suggest a guarantee of coverage.